(GAC) Granular Activated carbon made from raw organic material such as coconut shell. 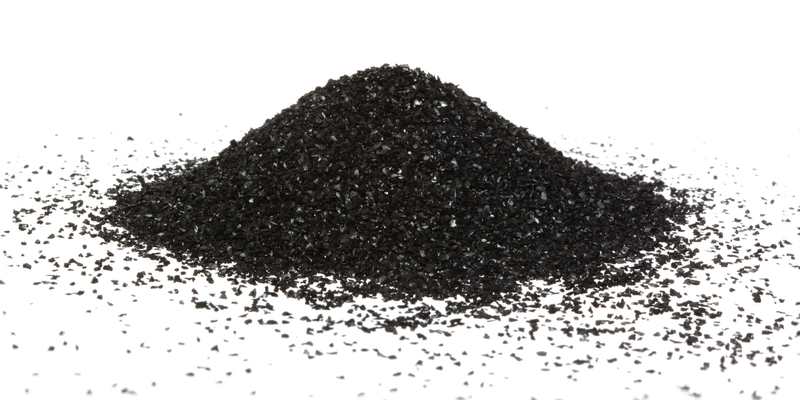 The raw material of activated carbon pulverized and sieved into appropriate and uniform particle sizes. Carbon has been used as an adsorbent for centuries. Granular activated carbon is a particularly good adsorbent due to its high surface area to volume ratio. One gram of a typical commercial activated carbon will have a surface area equivalent to 1,000 square meters. This high surface area permits the accumulation of a large number of contaminant molecules. The iodine value is also used to represent the small and large pore volumes in GAC. It is the actual mass of iodine that is absorbed from the GAC is often used for the removal of natural organic matter, as well as disinfection by-products. Coconut shell carbon has mainly micro-pores to meso-pores and due to its unique distribution of pore diameter. Granular and shaped carbons are used generally in continuous systems where the liquid to be treated is passed through a fixed bed. Liquid-phase applications of activated carbon include potable water treatment, groundwater remediation, industrial and municipal wastewater treatment, sweetener decolorization, chemical processing, mining and the production of food processing companies, beverages, soft drinks, Edible oil refineries, and pharmaceuticals. The GAC products have large specific Surface area, developed pore structure, mighty Adsorptive properties and high intensity, high mechanical strength hardness, high pore volume and chemical stability, It has high capacity on the adsorption of organic solutes, free chlorine in industrial water, and long service life and fast rate of deodorization. 7. Dechlorination, Chlorine and chloramines removal.